Dr. Basi setup his practice at Panorama Village Dental because he wants to provide dental care to the community where he grew up. Prior to opening his practice at Panorama Village Dental, he practiced as a associate in Burnaby and Maple Ridge, both offices being recognized as "Best Dental Office" locally during his tenure at those practices. He now brings that same passion and excitement to Surrey, where he will be serving the community for a long time. Dr. Basi takes patient care very seriously. He is a very gentle and caring person, that translates very well to his work in dentistry. At his practice, Panorama Village Dental, Dr. Basi and his friendly team take on his relaxed and compassionate approach towards patient care. Dr. Basi strives for same-day service and emergency care, as well as family care. 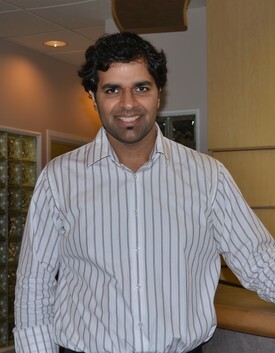 Dr. Basi grew up in Surrey, attending Maple Green Elementary and Johnston Heights Secondary School. He went on to the University of British Columbia for eight years where he earned a Bachelor of Science (B.Sc.) degree with a major in Biochemistry and his Doctor of Dental Medicine (D.M.D) degree. Dr. Basi takes pride in remaining current with the constantly evolving field of dentistry by regularly attending continuing education seminars, lectures and conferences. Dr. Basi is a member of good standing with the Canadian Dental Association, British Columbia Dental Association and the College of Dental Surgeons of British Columbia. In addition, he is a member of the Greater Vancouver Study Club and annually attends the Pacific Dental Conference for workshops on the latest technology, products and techniques. In his spare time, Dr. Basi is primarily engaged in family activities, but can also be found spending his leisure time playing basketball, skiing, hiking and mountain biking.